Uzavtosanoat intends to reduce imports of automotive components by 10 percent this year, according to the company. To achieve this, a special roadmap has been developed and approved by the government. One of the main tasks in this direction is the maximum involvement of local entrepreneurs in mastering the production of necessary details. Within the framework of this work, an exhibition seminar was held in Uzavtosanoat, which demonstrated the imported component parts offered for development at local enterprises. “When the Asaka automobile plant started its activity, there were only four local enterprises operating in the country that supplied 12 types of components for the plant. Today there are more than 100 local suppliers, and the number of components produced by them exceeds 2,500,” the company said. At the seminar, the specialists of the company and the plant answered in detail the questions of entrepreneurs who plan to develop their business in the automotive industry. At a recent press conference, the head of Uzavtosanoat, Umidjan Salimov, said that the company has already achieved some success in import substitution. “As a result of the first months of the year, we have already managed to reduce the import of components by 4.5 percent. It is important to understand that this is a difficult job, there are many nuances. Now we are negotiating with “Uzstroymaterialy” to develop the production of flat glass in the country, which is completely imported from Russia. Also, in the near future, the issue of purchasing steel, which is now imported from three Russian plants, will be resolved. Taking into account the launch of the Tashkent Metallurgical Plant, we intend to solve this matter,” he noted. Uzavtosanoat Joint Stock Company produces light vehicles and commercial techniques in Central Asia. 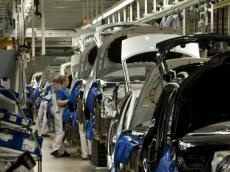 Car industry occupies one of the leading places in the economy of Uzbekistan. A significant number of the country's population is employed in this sector of industry. The vast majority of automotive enterprises in Uzbekistan are joint ventures with foreign partners. This shows that the country is successfully working to create a favorable investment climate. The main production companies are GM Uzbekistan, SamAvto, JV MAN Auto-Uzbekistan and GM Powertrain Uzbekistan. The automotive industry has undergone significant reform last year. Simplification of the procedure for buying cars is intended to increase the demand for them, and the expansion of export opportunities will make this Uzbek brand even more popular abroad. Since 1998 Uzbekistan has been a member of the International Organization of Motor Vehicle Manufacturers (OICA).